Do you like craft beer? Do you like dogs? Well then join us for a combo made in heaven! 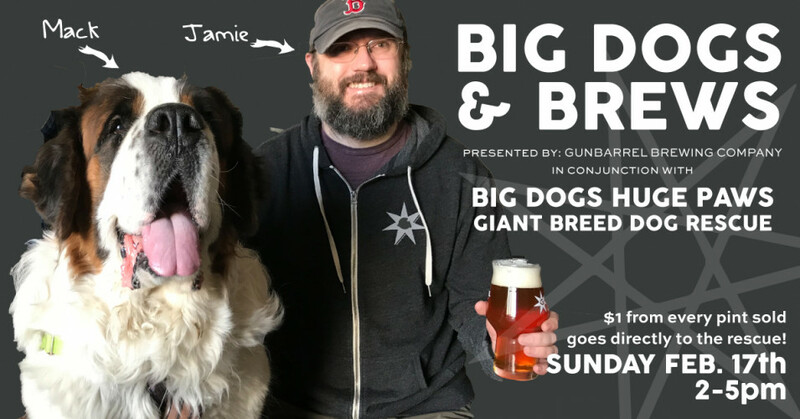 From 2-5pm $1 of every beer sold will be donated to help the giant pooches in the rescue Big Dogs Huge Paws. We that every "BIG" dog deserves a chance and they specialize in the rescue and rehabilitation of giant breed dogs. Funds raised from this event will go directly towards the food and medical care for these wonderful creatures. Strutting their stuff and available for love and cuddles will be current dogs available for adoption as well as alumni who have found their loving forever homes through this rescue. Come on out and drink for a good cause!